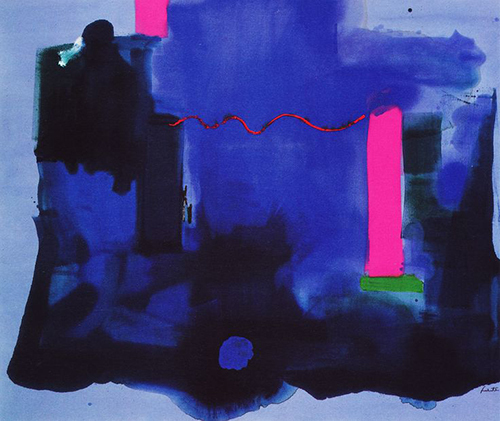 Helen Frankenthaler (1928–2011) was an American painter and printmaker, who was referred to as a second-generation Abstract Expressionist artist. 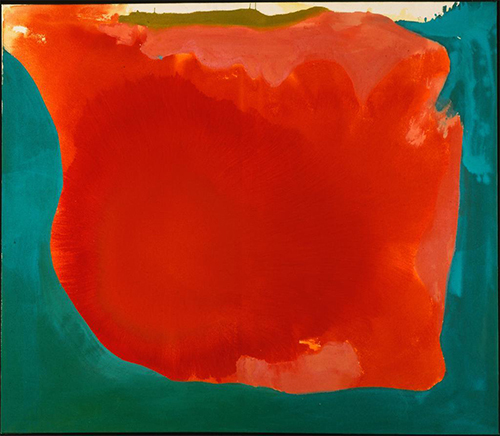 Frankenthaler’s work is dynamic in its perfect and poetic inter-relationships of colour, form and space. 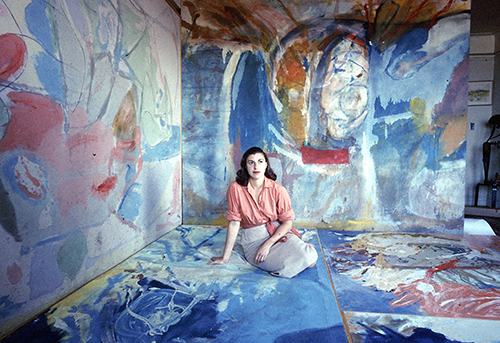 Helen was the daughter of a respected New York State Supreme Court Justice Alfred Frankenthaler and his wife, Martha Frankenthaler. Growing up on Manhattan’s Upper East Side, she absorbed the privileged background of a cultured, progressive and highly intellectual Jewish family that encouraged her to prepare herself for an imaginative yet professional career. 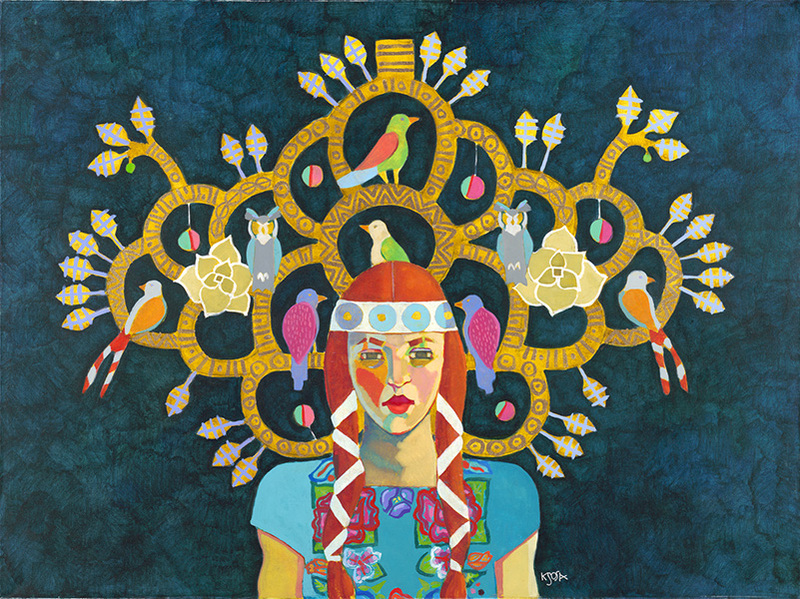 She attended the Dalton School (ranked among the top private schools in the United States), where she received her earliest art instruction from muralist Rufino Tamayo – one of the most renowned Mexican artists of the 20th century. In 1949 she graduated from Bennington College in Vermont, another top private school. It was there she was infused with the spirit of cubism, and it was cubist space and structure that shaped her work even in her most casual arrangements of colour. 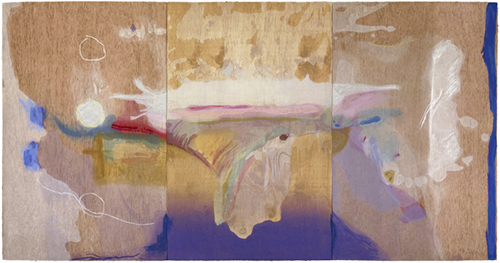 During the 1950s in New York, Frankenthaler defined her personal style, developing a new technique (soak-stain) where she began placing her unprimed canvases on the floor (a technique inspired by Jackson Pollock), and created her images by pouring thinned-down oil paint across the canvas – allowing the paint to flow and soak into the canvas fabric, resulting in stunning surprising forms. When a canvas is primed before painting, it is usually coated with an opaque (white priming layer), which is designed to keep the paint from contacting the bare canvas fabric. 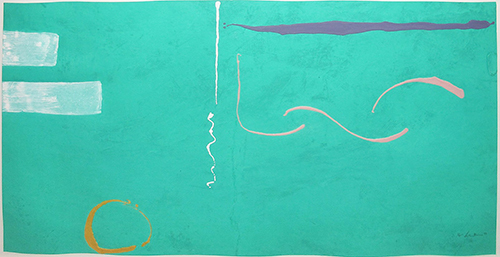 Because Frankenthaler left the cotton canvas unprimed, its natural off-white colour became the colour of the ground. 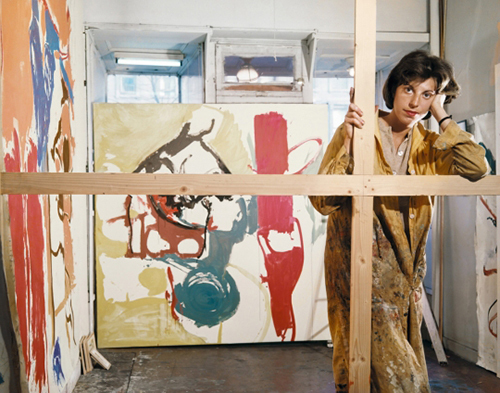 In this sense, she was the first artist to include the canvas as part of the image, rather than just the support for the image. 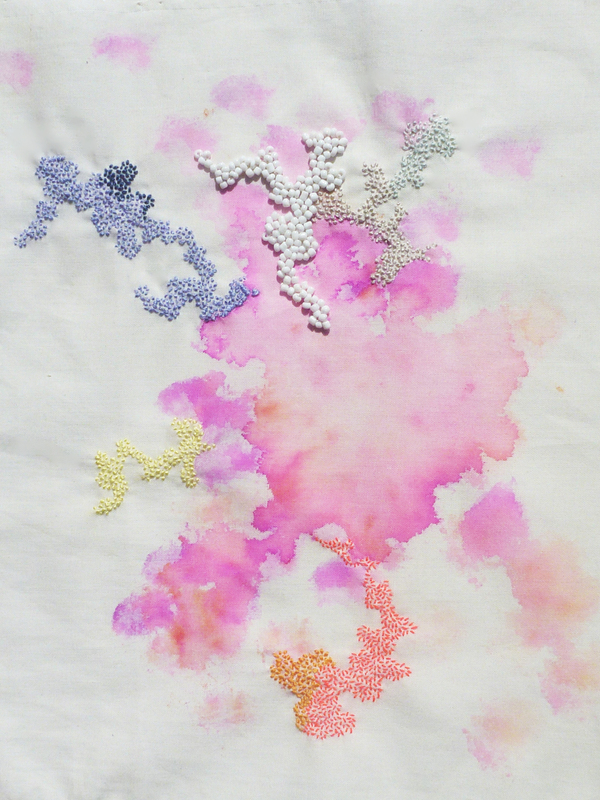 Because it was oil-based, oil paint left a halo of oil seepage around the painted areas of the unprimed fabric. 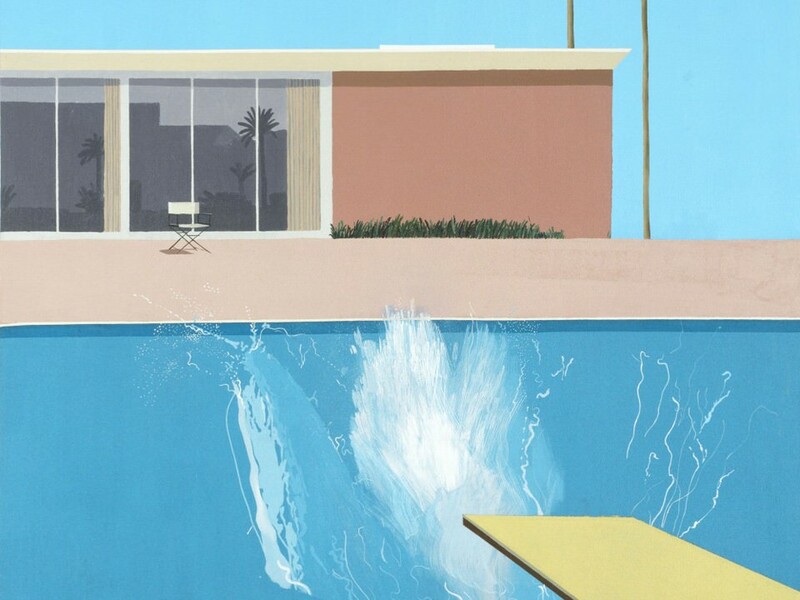 When acrylic paint (water-based paint) was introduced in the early 1960’s, she began using it because it produced the more liquid quality she wanted, and left no halo on the fabric. 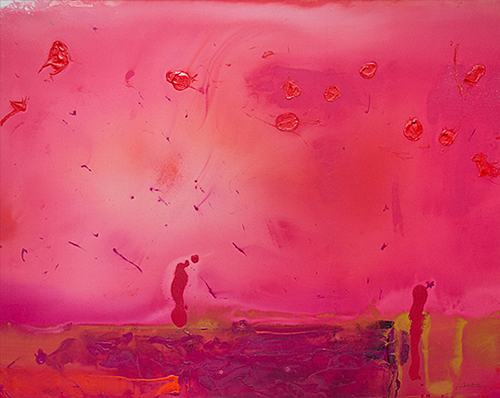 Color Field Painting was also another way to describe the work of Frankenthaler in the 60’s. 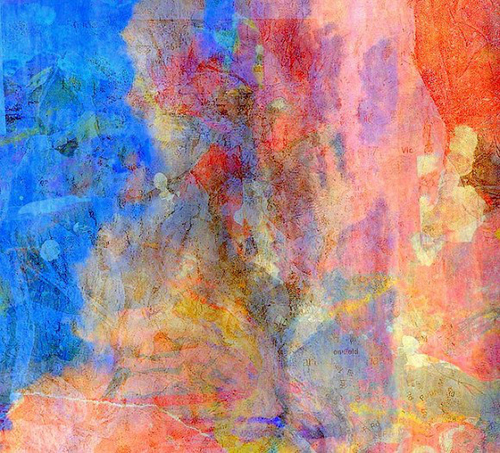 This term refers to the application of large areas (fields) of a single colour to the canvas. This style was characterised by the use of hues that were similar in tone or intensity, as well as large formats and simplified compositions. Colour Field Painting deliberately avoided portraying forms standing out against a background. 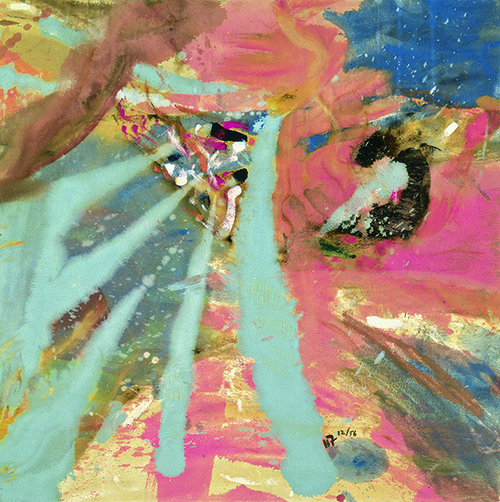 Instead, form and background and ground are one, and the picture – seen as a field, rather than a window, draws the eye beyond the edges of the canvas. 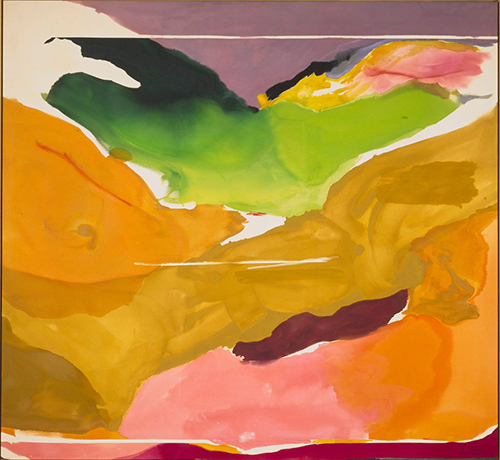 Helen Frankenthaler’s work truly helped redefine painting. 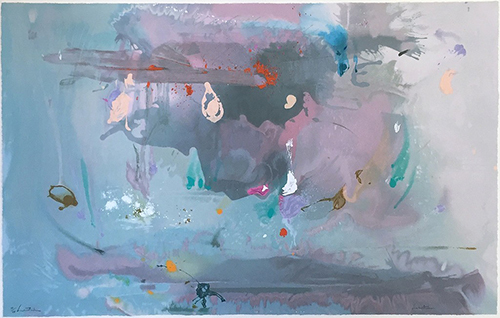 She was a innovator, and although her work is abstract, the images were often taken from remembered or imagined landscapes, concerned greatly with the fluidity of the paint and the image. 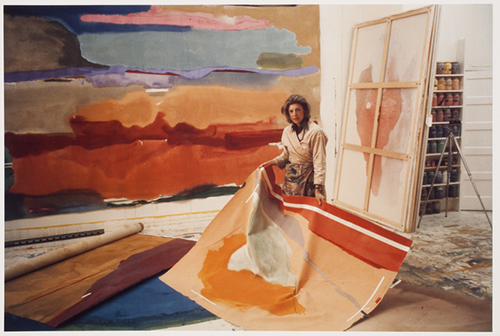 Frankenthaler’s use of colour is highly original and stunning; they and their interactions are evocative and unexpected, and we just love how they suggest sort-of personalised landscapes, natural and colossal events.